When it comes to travelling, most everyone knows to use sites like Orbitz.com or Hotels.com to save money. But Super Saver Tiffany Ivanosky, who travels with her family of 9, says investing a little more time can save you even more cash. Find prices on travel websites and then take that rate and call the hotel directly. Kat used this trick on her hotel room for an upcoming trip and saved $100. Tiffany says apply the same strategy to rental cars. You can also negotiate online. For hotels, Tiffany uses backbid.com. This is how it works. 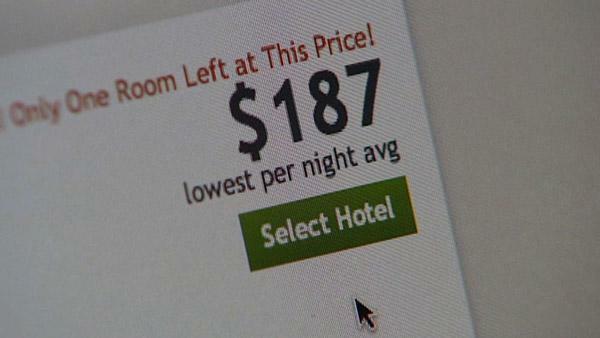 First book your "refundable" hotel room - make sure it is refundable to avoid any charges. You can book this at any website of your choice like Expedia, Travelocity or even the hotel site itself. Then you take the confirmation e-mail from that and send it to Back Bid and they are going to actually send it out to other hotels nearby. Then, they are going to have other hotels bid on your reservation. Backbid.com is a free service, but you must sign up with an e-mail address and it is your responsibility to cancel your reservation should you re-book somewhere else. 3. Sign up for free Alerts. For saving money on flights, sign up for free alerts. Websites like kayak.com and Airfare Watch Dog will do the work for you. If the airfare drops, you get an email and an alert that's lets you me know what the current price is. 4. Use your Credit Card to Earn Points. Consider opening up a travel rewards credit card to score free tickets and earn points, but make sure you are responsible and that you are able to pay it off so you don't get hit with interest which can completely wipe off any benefits to getting those tickets.